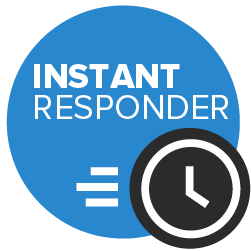 Our prices vary depending on dates, timings, location and exact requirements. For large groups, our prices start from £6.50+VAT / head. 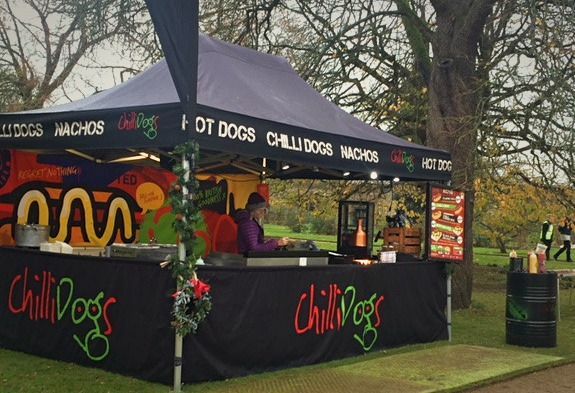 ChilliDogs provide their exciting, gourmet street food catering to events across Buckinghamshire, Oxfordshire and beyond. 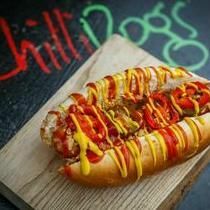 We specialise in jaw-dropping hot dogs, chilli dogs and nachos all prepared by our Michelin-trained chef. 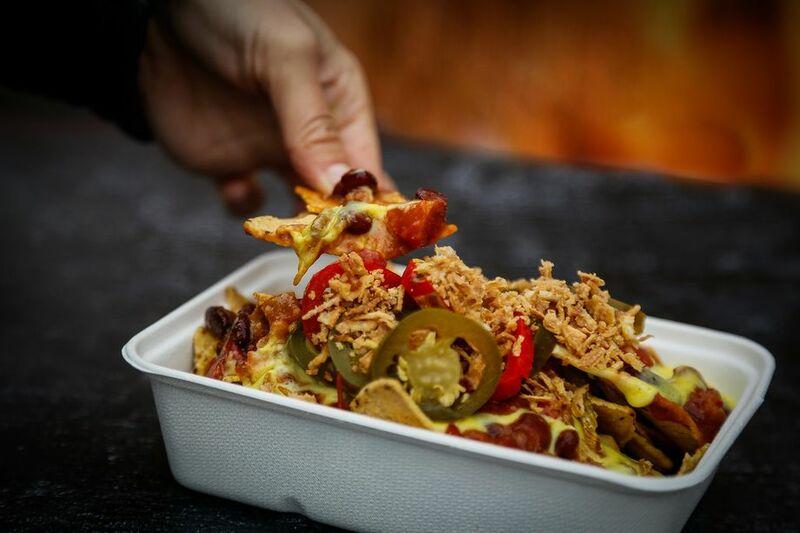 We can also create a bespoke menu to suit your event, from BBQs to street food-style sharing platters. Our hot dogs really get the party started! All our dogs are made from 100% British premium pork and individually hand-tied before being smoked over natural beechwood chippings. 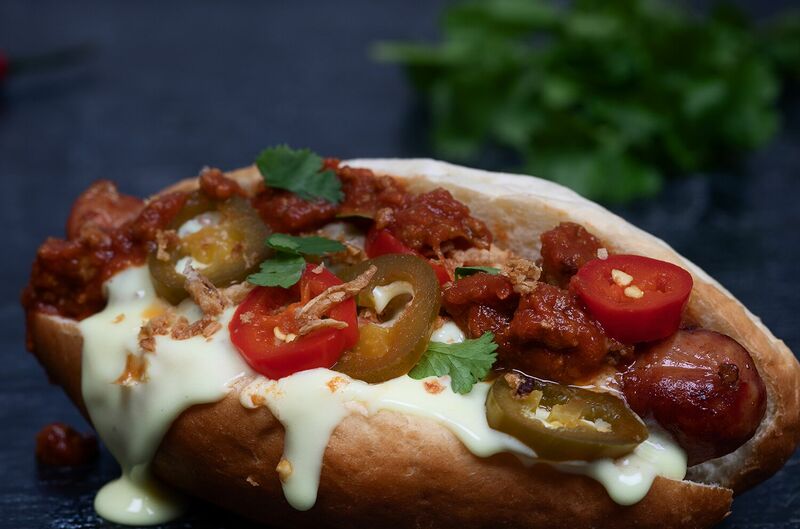 Our dogs can them be pimped up to your guest's exact liking - whether this be keeping it simple with a sprinkle of crispy onions or going the whole hog and loading it with our slow-cooked beef chilli, real cheese fondue and jalapeños. Our Party Menu includes any one choice of menu item per guest. Unlimited food per guest can be added for an extra charge, please just ask. Our Party Menu includes any one choice of menu item per guest. Guests get to 'pimp' their food to their exact liking whilst their food is cooked in front of them. Menu options include: Classic Dog -hand-tied beechwood smoked sauce in a brioche bun with a choice of toppings Chilli Dog - signature dog topped with slow-cooked beef chilli in a brioche bun Chilli Cheese Dog - as above with the addition of our sumptuous real cheese fondue Beef Nachos (gf)- slow cooked beef chilli on corn totopos with real cheese fondue Black Bean Nachos (gf, vegan) - smoky black bean chilli on corn totopos with real cheese fondue Despite our name, all our food is mild and can be spiced-up to your liking if desired. Yes, our menu can be adapted to suit the event's requirements. Yes, our menu can be adapated to suit the event's requirements. 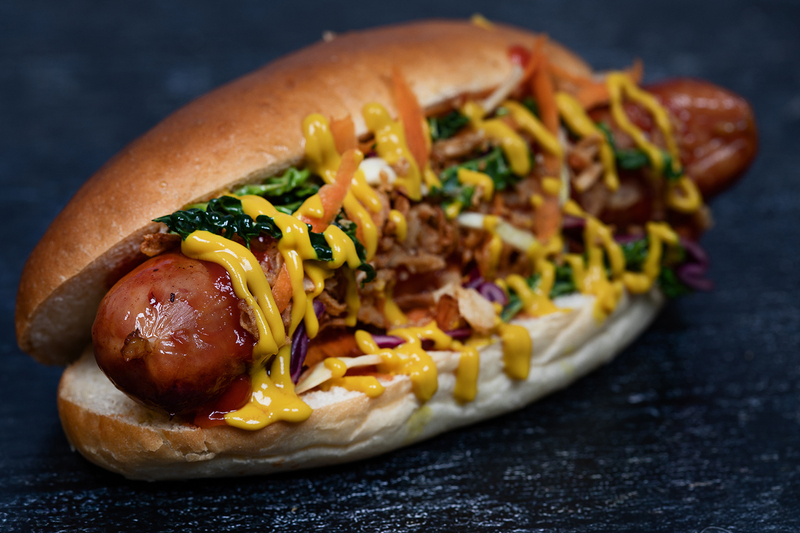 Yes, ChilliDogs is run by a highly experienced chef so can change the menu to suit your requirements from offering canapes, adding chicken wings and fries to creating a completely new hot dog to fit with the event's theme. Yes we offer a street food style of cooking which guests can view.